Howdy and good morning to all my fellow reader. Welcome back to my website, this day I want to bring up a topic about the strongest and fastest heroes in marvel. So, do you ever wondering about who is the fastest and strongest in MARVEL? Is it Hulk? Is it Spiderman? Or maybe Antman? What if we make them fight each other like Spiderman against Quicksilver? I think it would be really interesting, right? Well, I bet you will say all of those things are the most impossible thing to happen, right? What if I say that’s possible? We can see MARVEL hero punch each other or make them teaming up with their eternal foes. Yeah, you can find all of those crazy ideas on MARVEL Future Fight game! So, what are you waiting for? Check out my review today about that game! MARVEL Future Fight is an amazing game released and made by Netmarble. This game only available in two platforms and that’s mean if you don’t have an Android or iOS device, you won’t be able to play this game. However, there is one other way and that’s mean you need to install an emulator! Well, even though this is quite illegal, some people still use this way. 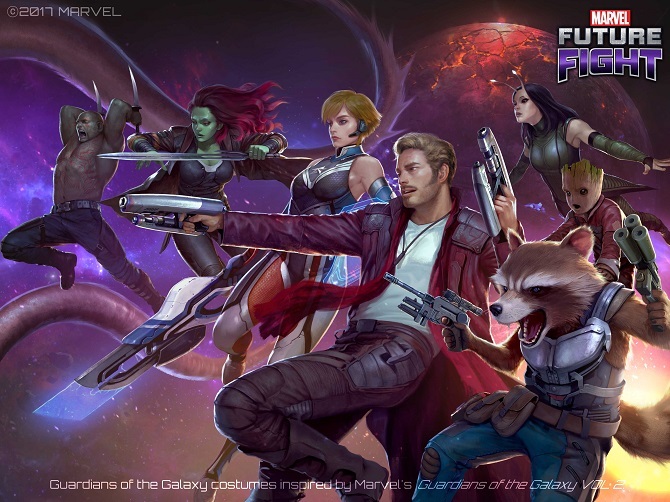 MARVEL Future Fight itself jump in into the action hack and slash genre and ready to compete with the other game in the same genre like Dungeon Hunter, and Spirit Lords. 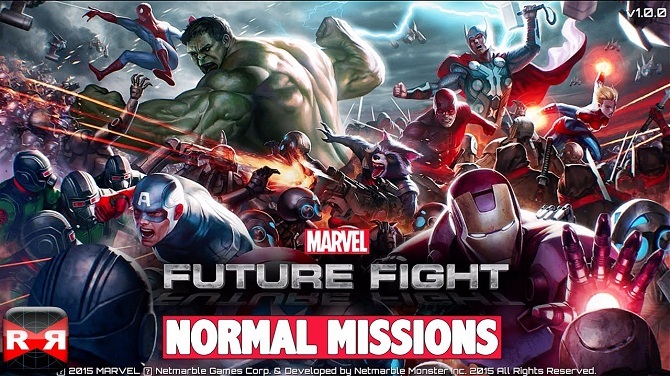 MARVEL Future Fight firstly released and under soft launch in Australia and also published on the same day when Marvel Age of Ultron Movie was released. In MARVEL Future Fight game, you will be able to control so many Marvel superheroes or even supervillain like Venom and Carnage. Well, this game is a good game since this game rated 4.6 and downloaded by 50 million – 100 million people. This game is offering you so many battle mode like Epic Quest and PvP Arena Mode. MARVEL Future Fight also letting you make up a great Alliance with all of your friends to make this game more interesting. Well, I believe after reading this review, you will become more interested in this game. Don’t worry because I will share up some of my MARVEL Future Fight guides to you too. Well, I know there are a lot of you that started to interest in this game. However, I also know some of you just doubt whether you should play it or not. Well, all I can say is, just play this game and don’t worry about anything. Why? Because I will give you all my knowledge about MARVEL Future Fight tips and tricks. I will guide you to become a real hero of Marvel universe. So, what are you waiting for dude? Check out my guide below! Be wise to choose your first hero. I will suggest you pick a hero that is quite strong like Spiderman, Thor, Loki, Hulk, Hulk Buster. Because this pre hero will be your main character to be played in this game. This is the easiest way to get stamina for your plan to grinding and leveling up. This is also the easiest part to find gold! Every hero on this game will be shown up an affection for each other. However, not every hero bound to each other. Well, all we can do is try to find a suitable hero and make it in one team. You can look at the guide easily on the column menu or ask somebody about it. Because the main target in this game is to become strong that means we can’t waste any time. That’s why never let your gold waste on something unimportant and being useless! Use it to upgrade your character’s main power and techniques! Well, I think my article today about MARVEL Future Fight game review and tips is enough and clear for today. If you think my tips this day is useful for you, please share this with your friends who love to play MARVEL Future Fight too. Thanks for coming to my website. See you soon on my article and have a nice day. 5 Fastest Villain and Heroes In Marvel Universe | Who Will Be The Winner?